Infertility is becoming more common (almost 1 in 6 couples will have difficulty conceiving), yet it is still shrouded in secrecy and shame. The Canadian Fertility Show (happening on February 23rd) aims to bring more awareness to this issue, while providing crucial support and information. 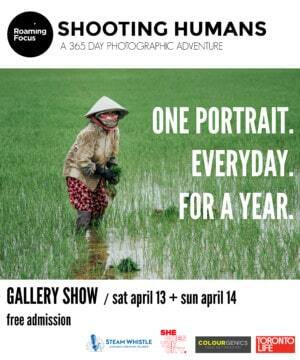 The show will feature lectures from medical doctors, naturopathic doctors, practitioners and lawyers. It will cover Optimizing Egg & Sperm Health, Surrogacy, Adoption, IVF, Donor Eggs & Sperm and much more. We asked Jodie about why she organized the show, how couples can boost their chances of getting pregnant, and how to cope with the stress that accompanies infertility. SDTC: Why are you passionate about helping couples optimize their fertility naturally? JP: As a naturopathic doctor, I have a strong passion for supporting the long-term optimal health of all patients. This is especially relevant during the preconception time. The months leading up to a pregnancy are what will set the stage for the long-term health of our next generation of children. This is an amazing opportunity to have people check in with their daily routines to see if they are serving the purpose of optimizing health or not. This can include looking at stress levels and regulating hormonal balance, ensuring healthy sleep and exercise patterns as well as looking at diet. The great thing about doing this preparation before having a baby is that it will make both potential parents feel better in terms of mood, energy, digestion and overall well being. Who doesn’t want that? How do people impair their own fertility, and what are some proactive steps they can take? There are several lifestyle factors that can be changed to help support long-term fertility. Stress will play a large role in dysregulation of hormonal balance, which can impact female menstrual cycles and healthy sperm development. Most of us have regular daily stress, which is normal and healthy. When stress becomes excessive, though, this is when we can see the negative impact. Regular physical activity is one of the best ways to help reduce the negative effects of stress. Support your body with healthy nutrition, ensuring lots of vegetables, fruits, lean proteins and healthy fats. Avoid processed, packaged and significant amounts of fried foods. Getting enough sleep also plays a role in regulating hormonal balance. Trying to be consistent with bedtime and wake times will also help your body to regulate all hormones more effectively. Eliminate or limit the use of toxic substances such as cigarettes, alcohol and recreational drugs, as all of these have been demonstrated in studies to have a negative impact on fertility and health outcomes for babies. Have you seen a connection between addiction and infertility? Addiction unfortunately can contribute to impaired fertility. Depending on the substance being abused, it can affect both liver and kidney function and level the body with a high-toxic burden. The toxin exposure can cause damage to a male’s sperm and to a female’s eggs. With this negative impact, it can make conception difficult, and if conception does occur, it can have negative health implications for baby. When speaking to alcohol specifically, it appears to have more of a negative impact the older the potential parents are. Under the age of thirty, moderate alcohol consumption doesn’t appear to have a generally negative impact. Moderate consumption for this definition is four or less drinks per week. Over the age of thirty, we see a more negative impact, specifically for fertility. What will you be speaking about at the Canadian Fertility Show? I am extremely passionate about educating on natural-treatment approaches to polycystic ovarian syndrome (PCOS) and will be speaking on this topic at the show. Women struggling with infertility can often feel a mix of shame, disappointment and anxiety. One of the main driving forces behind starting the Canadian Fertility Show is to bring more public awareness and acceptance to infertility. I see so many patients struggling, sometimes for years, with the inability to conceive, and they often feel isolated and alone in their struggle. 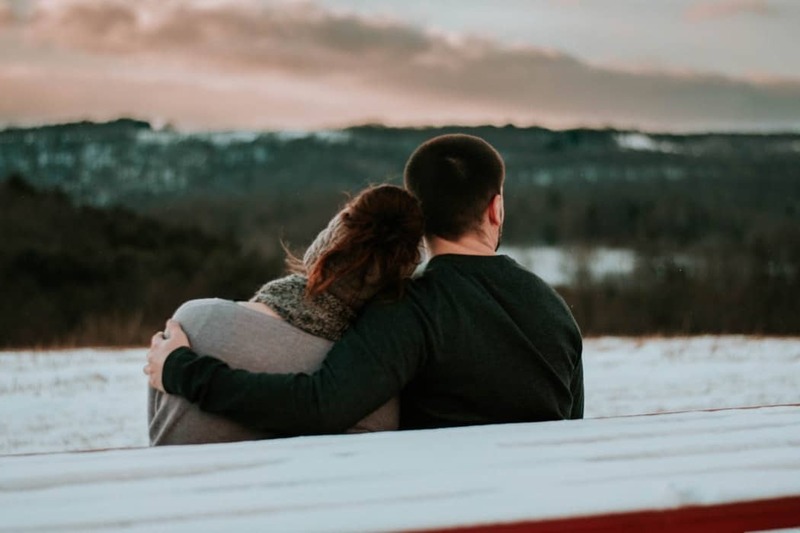 For people that haven’t struggled with their own fertility, this is an opportunity to learn how to be more sensitive to their friends and family as they often have no idea about the amount of daily and monthly stress associated with the struggle of fertility. Last year after the show, we received a significant amount of feedback from attendees that they finally felt supported and were amazed to see so many people in one venue who were all looking for support and education with regards to fertility. We want all people to feel the love and support of the community while they are building their families. 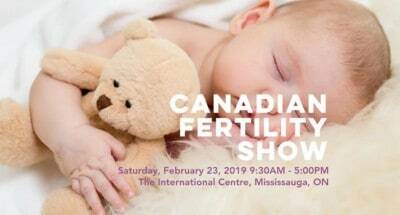 The Canadian Fertility Show comes to the International Centre in Mississauga on February 23rd. Get tickets and more information here.